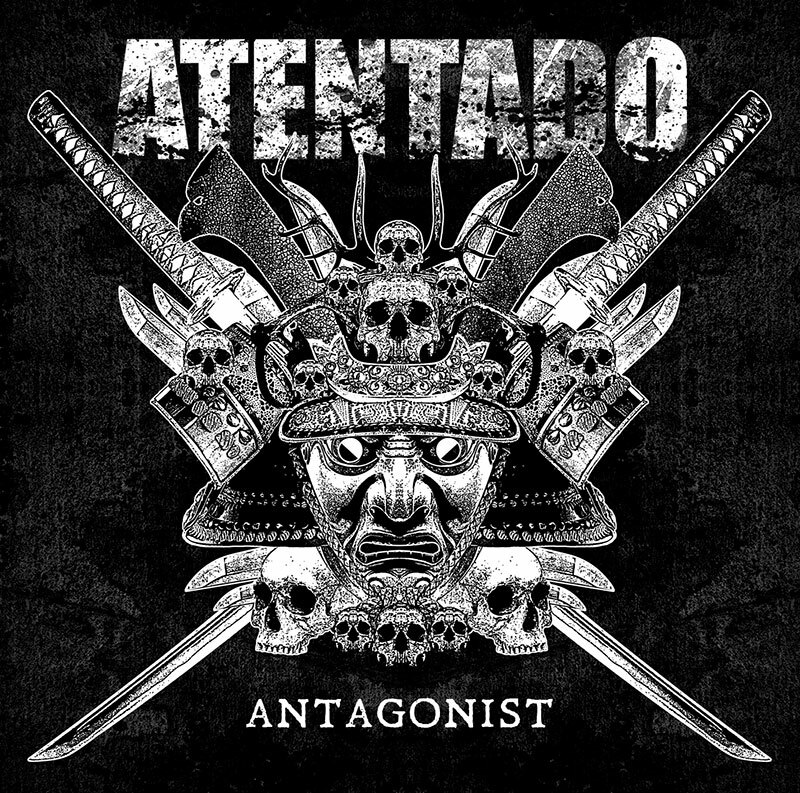 Atentado started in the end of 1991 in the suburbs of Lisbon as the follow-up of Grind/Crust pioneers Atrofiados. But it was a short lived experience and the band ended, without even playing any live shows, the day they were entering the studio to record for a split LP with Finnish friends Selfish, this ended up beeing the Doom/Selfish Split LP. Twenty years later, bass player Pedro do Vale "Pitchi" resurrected the band and "Paradox" was released in 2011. Some line-up changes, right after the release of the debut album, put the band in a short hiatus to return stronger than ever for some great live shows and the recording of their new "Antagonist" LP, which contains 11 tracks of loud and uncompromising metal influenced HC/Punk in 25 minutes. Recorded and mixed by Fernando Matias at The Pentagon Audio Manufacturers and Mastered by Brad Boatright at AUDIOSIEGE (Tragedy, Nails...). What you can hear is a great mix of Motorhead influenced crust (like later Anti Cimex) with a great Celtic Frost/Venom Discharged edge!